It seems I slept through one of the best World Series games ever last night. I have a solid excuse. I'm not much of a baseball fan at all. I literally did not watch one pitch of the playoffs or series until last night. I follow the standings, and was well aware of what was at stake for the beloved Cubs going into the season. In fact, I told a die hard Cubbies fan friend of mine that if they didn't win it all this year, they deserve to be labelled the loveable losers that they were for 108 years. Well, they didn't. And to that I say, congratulations Chicago! But as I said, I'm really not much of a fan. What I enjoy of it, I enjoy in person. I don't have much time for watching it on TV at all. I made it until the bottom of the sixth inning. It didn't look good for the Indians at that point. I made it until the bottom of the sixth inning. It didn't look good for the Indians at that point. As I was watching it though, I got so tired of the way the camera was flicking from coach (spitting) to batter (scratching, twitching, posturing) to teammates (more spitting) to pitcher (grabbing) and back to coach (spitting more). Lord help me! Can't we focus on one thing for more than 3 seconds? But wait, there's a pitcher warming up in the bullpen. Lets go back and forth to that. I know I sound curmudgeonly, but it's just not my thing. Football is, and it does much of the same flicking back and forth, but at least there's action. Nothing more painful than watching a guy foul off 5 or six pitches. There should be a 2 foul limit. If you can't hit it after two fouls, sit down. So I slept through it. I told everyone that had it been the Twins or Brewers, I'd have watched the whole series - an probably at least some of the playoffs. 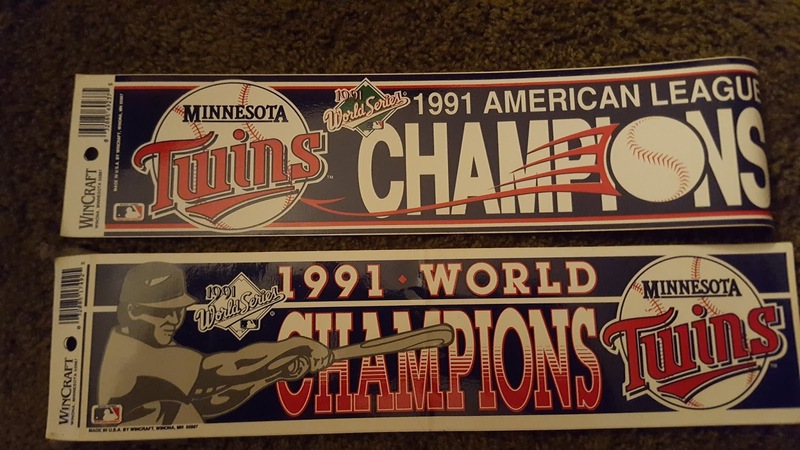 It brings to mind the last time a team I cared about made it to the series, the 1991 Twins, and before that the 1987 Twins. If you recall, the 1991 series was pretty spectacular too. 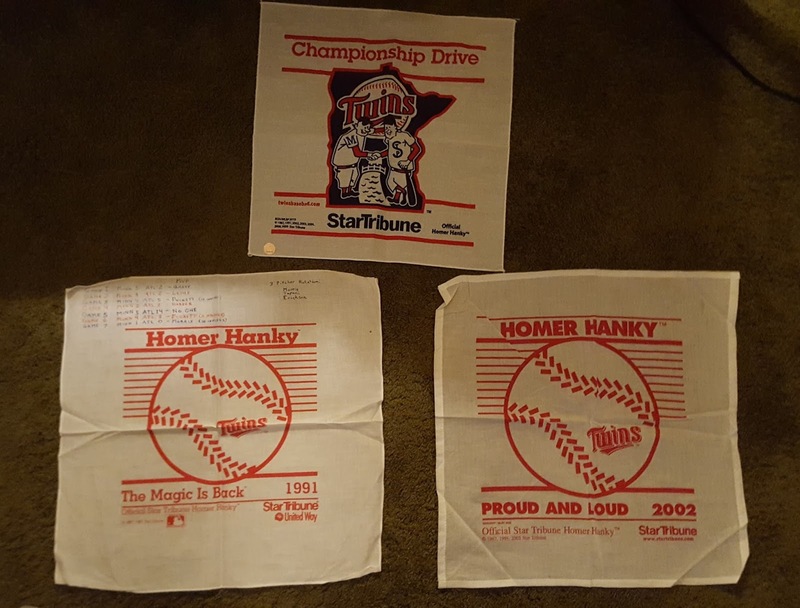 It went the whole 7 games and finished with Jack Morris' 10 inning shutout that was nothing short of scintillating. I can remember how nervous I was for many of those games. When there's a team I care about playing in a series that means so much, I kind of hung on every pitch. It was nerve wracking. I also remember the Braves (another less than politically correct team mascot) hatchet chop and politically incorrect chant "Whoa, whoa, whoaaaa Whoa..." I hated that chant, more because it usually rallied the team to pull ahead of my Twins, but I hated it. 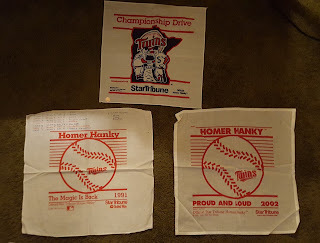 On perhaps the annoying side from a Braves or Cardinals' standpoint were the now-infamous Homer Hankies that the Metrodome was known for. Thousands of fans waving their hankies was probably nearly as annoying as the Brave chant. But they won. And they won in '87 too. 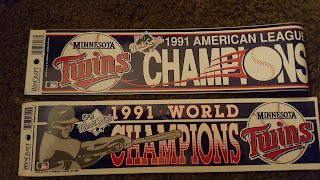 That series gave my grandmother the opportunity to FINALLY see her Twins win the big one. She'd followed them for years, including their '65 series. It's these kinds of stories - lifelong fans of a relatively losing franchise - finally getting the chance to see them succeed. And that is what the Cubs did. It appears the Indians (who I wouldn't have minded see win, either) will have to get in line and wait their turn.